Internet marketing is a beautiful thing, isn’t it? There are countless marketing tools available on the Web, and many carry little to no barriers to entry (in other words, they’re free or very inexpensive, so anyone can use them). That ease of use can cause some problems though. What do you do when you have an overwhelming number of options available, and only a limited budget or limited time to implement your Internet marketing campaign? Traditional business owners know that market research plays a vital role in the success of any marketing campaign. That doesn’t change on the Web. Still, it’s all too common to see online entrepreneurs, webmasters, or traditional businesses making the leap to the Web taking a very untargeted approach (we recently talked about the consequences of untargeted social media marketing specifically). When you jump into using a tool because someone says you should try it, without doing any planning or market research first, you run the risk of wasting both time and money in a failed attempt to reach your target market. Market research lets you compare different marketing tools and tactics to figure out which will best reach and influence your intended audience before you commit to them. There are several general areas of marketing research you should be familiar with. The first part of your market is your customer base (or subscribers or readership as the case may be). Consumer market research helps you decide who to target and how to influence them. Don’t stop there though. You also need to think about your competition (by researching what they’re doing and what’s worked well for them, you can make better market planning decisions). Are they mostly male or female? What age group? What income level? Where do they live? What level of education do they have? What are their interests? How will whatever you’re offering relate to their values? What influences your audience? – It’s not enough to know who your audience is. Marketing is about influencing a group of people–convincing them to visit your website, sign up for your newsletter subscription, buy your product, etc. If you target an audience consisting of mostly mothers in their 20s and 30s, for example, their motivating factors to make a purchase are going to be very different than those of a single teenage male. How can you compete? – In any industry you have to know who your competition actually is if you want to successfully compete with them. More importantly, you should look at their past marketing campaigns to keep their successes in mind and to learn from their potential mistakes. Even more vital than that, you have to know how you measure up against them if you’re going to craft effective marketing messages that set you apart. You can do this through a basic SWOT analysis (where you detail your strengths, weaknesses, opportunities, and threats in comparison to your biggest competitors). One of the reasons business owners sometimes neglect market research on the Web is the misconception that it has to be expensive, difficult, or very time consuming. That may be true of some types of market research. 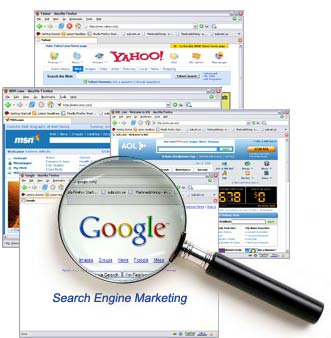 But just as the Web offers simplified marketing tactics, it offers more accessible global market research as well. Visit competitor websites – There you may be able to find out how long they’ve been in business, how qualified their staff and management team are, or even see some of their marketing in action. Remember that their website, email newsletter, and even logo or other branding material are all a part of their overall marketing effort. Google it (or Bing it, or whatever strikes your fancy) – Search engines are your friend when it comes to Web-based market research. Not only can they help you discover competitors and how your competitors are marketing their businesses on the Web, but they can give you insight into your target market. A news engine, for example, might turn up press releases detailing survey results and other market research reports. Even if the full reports cost hundreds of dollars, key statistics about the markets / audiences surveyed are often released for free in those press releases. Conduct keyword research – If your Internet marketing plan involves search engine optimization (SEO) or search engine marketing (SEM) tactics such as pay-per-click (PPC) ads, keyword research is a given. But even if you’re not planning those things, do it anyway. Tools like the Adwords keyword tool will show you what phrases your target market is interested in (what they’re searching for). In the example below, you can see keyword phrases related to market research, and how they fare against each other in popularity. Why does this matter? Because it tells you what your audience is specifically interested in. If you know what they’re interested in, you can better appeal to them in your marketing copy and collateral, influencing them and increasing conversions. Those examples are some of the most basic online market research tools available. 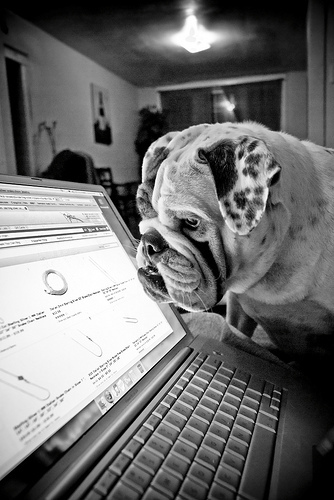 There are an abundance of tools and tactics available to you in consumer market research online. Let these serve as a starting point rather than your comprehensive plan. Depending on your audience and what you’re trying to promote, you might also turn to market research surveys, focus groups, conversion tracking (after implementing a tactic such as an ad campaign), or other marketing research methods available. The next time you’re wondering how you should expand your Internet marketing plan, don’t simply ask others for tactical suggestions. Invest some time into online market research and find out how your market likes to be reached (or what they respond to best) instead. What works for others won’t necessarily work for you. This is an excellent article Jennifer. I tell my clients all the time that market research is the most important factor of being successful in any business, online or off. Online should be no different. I tell them that keyword research is online market research and should be treated with the highest priority for any business that is serious about being successful with their online marketing efforts. This is the very reason I created a product on how to master keyword research (online market research) using free tools. I was able to give this information to my colleagues and clients so they could have a better understanding of their market. Once you know your market, you can better serve them what the need and want the most which equals more sales, more revenue, and more profit. Keyword research is definitely a form of market research, and should be pursued by anyone running a business online (or even running a company website). Just don’t stop there. It’s equally important to research the competition in order to complete a SWOT analysis and to understand saturation levels in the niche or industry (and before getting too involved in the business or site! ).